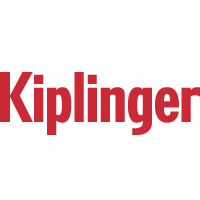 www.kiplinger.comGet Kiplinger's trusted advice on long-term care, long-term-care insurance, longevity insurance, assisted living, nursing homes, caregiving, caregivers and planning for Alzheimer's. want to know if Fidelity Asset mgr or Vanguard Life Strategy would be good all-in one funds for aggressive growth in a ROTH IRA. OR are there better offerings out there right now? Portfolio is 80/20 stocks bonds w/ the 80% diversified with both domestic/international in all asset classes. 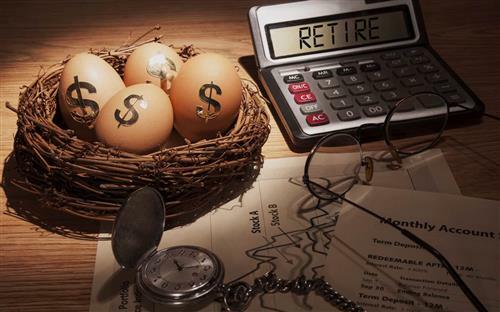 Suggestions for that ROTH IRA? Good morning. Is a expense ration of .75 - 1.03 too much for a mutual fund? One is a mid cap growth fund w/t rowe price, the other is also a growth fund, with wells fargo. My other options that seen to have long term good performance offer 0.62/0.67 fees. Thoughts? I know that isn't much to go on. My husband is 68 years old, and he still have some money in IRA, do you recommend him to do the Roth conversion at this time of age? We have you in the queue, Mr. B.
I am 52 and disabled. I am considering cashing out of my IRA as I can avoid the early withdrawal penalties and the market volatility. What would you advise? @Tommie Most advisors (including myself) recommend something known as tax diversification. It's basically the idea that you should spread investment assets out over different types of accounts. So you might have some money in tax-deferred accounts (i.e. 401k, IRA, etc. ), some money in tax-free accounts (i.e. Roth IRA), and some money in taxable accounts. Since none of us know what tax rates will look like 5 or 10+ years from now (or even 5-10 months from now when Congress doesn't cooperate! ), it helps to have these different accounts so you have flexibility when withdrawing money in retirement. Hi, At the end of this year, I will of finished a two year expense tracking program of all of our expenses (including cash). I was trying to extrapolate out what we would spend if we were retired (with no mortgage, etc). Basically what I have found so far is we would spend about $60,000 a year on everyday basic expenses (including property taxes), and ideal want to have $20,000 - $30,000 for traveling (non-discretionary). We still have about a dozen years to go before retirement. How much "total" do you think we would need (not counting Social Security/ that would just be icing on the cake), to pull off basically $90-$95,000 a year without touching the principal savings total, (which would be thru our SEP / 401k / 401k Roth / Mutual funds / Regular Roths). Or, do you recommend not to do the Roth conversion since he is 68 years old. We are at low tax level. I would like to put a small portion of my portfolio into Market Linked CDs. Are there any particular Banks that you would suggest, and is there anything that I should pay extra attention to? I am planning on retiring within the next 6 years or so. I want to know how I can make the most of this time until I retire. I am single, I have a long term health care policy, about 400k in investments 70% stock, and about 125k in equity in my home. I am a bit concerned about the ups and downs of the stock market these days. Is there some advice you could give me to make the best investment decisions? Also, I plan on waiting to take social security until I am 70 years old when I retire although I do plan on taking 1/2 of my ex-husband's social security when I am 66. Thanks for any advice. My wife and I have $1 million in retirement assets (her 403b and 401a) and $2 million in life insurance. If both of us died tomorrow, would inheritance taxes dig into this? I've heard we are still under the federal cap, but we live in Massachusetts and worry about that. Would the retirement assets go through "designated beneficiary" and be exempt from the inheritance tax? 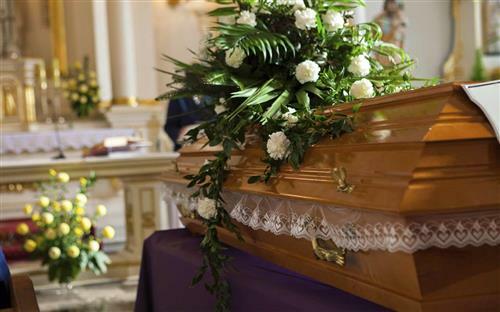 www.kiplinger.comThe IRS demands a final accounting for the deceased and it's up to your executor, or your survivors, to file the paperwork. Hello! I'm soon to be 48 and my husband, who is diabetic with some other health problems, is 51. He does not have long-term care insurance or long-term disability insurance (his employer doesn't offer). I worry about the impact that his future medical costs might have on our retirement savings. Do you have any recommendations for insurance products or something else that might apply for a diabetic? Thanks so much. What percentage per year can I withdraw from a $2.1mil portfolio to generate income for a 45 year span? I'm assuming portfolio to be 70/30 stock/bonds over the term. And, that's all we have time for today. Thank you so much to all of the financial advisers who were here fielding questions today! And, don't forget to visit Kiplinger.com's new Wealth Creation channel -- wealth.kiplinger.com -- for more insights on building and protecting your wealth.The channel offers hand-picked Kiplinger.com articles, along with exclusive insights from trusted financial planners, to guide discussions between advisers and individual investors. It's free. Visit now! We look forward to chatting with you in the next Jump-Start Your Financial Plan Q&A on September 17. See you then!